Last August we learned that Fossil's big bet on embracing smartwatches paid off for the wearable industry, helping fuel a smartwatch surge of about 60%. Now it looks like the bet is paying off for Fossil itself. The company announced its Q4 earnings, and while the company lost $79.9 million in the quarter, worse than the $49.7 million loss from the same quarter a year ago, sales actually rose 1.1% year-over-year. That sounds small, but Fossil itself expected a sales drop of 1.5 to 6% - and it's thanks to wearable tech sales. Sales of wearables doubled to over $300 million, making up 14% of sales overall. That success, according to Fossil, helped lead a boost in watch sales during the second half of 2017. But the company is not done yet, as it is now emboldened in its plan for the future. Kosta Kartsotis, chairman and CEO of Fossil Group, said that the company's continued connected watch push will counter the bleeding from dwindling traditional watch sales and fuel growth in the future. Investors agree, as Fossil shares shot up by 70% after the company announced the news. That, by itself, is a huge boon for the future of wearables. Do remember that many traditional watch makers, like Swatch, scoffed at connected watches in the beginning. 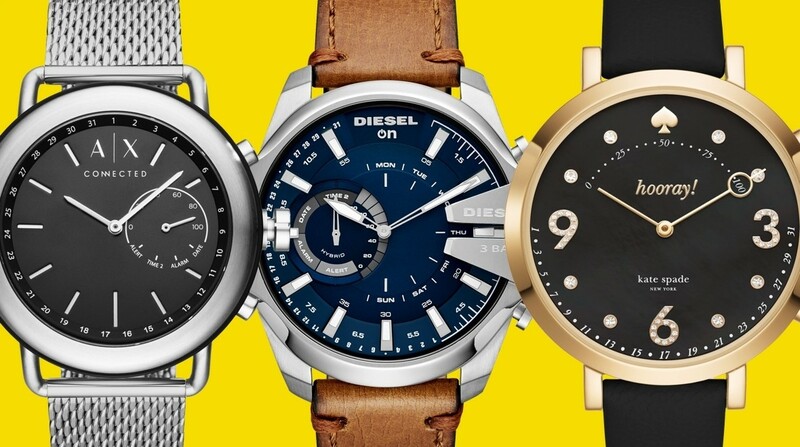 Now Fossil has set itself up as one of the leaders in the connected watch world, right up alongside Apple. It has even replaced tech companies as the flag bearer for Android Wear. As Fossil maintain its connected watch pace, the company is also looking forward to jumping into more wearables, like smartglasses, hearables and even connected purses. The company is in a unique position to augment fashion with technology, and it's seeing the beginnings of what could be massive success. I didn't think of it as a big risk for Fossil--if Android Wear didn't work, they would have just incorporated what they had learned into their other products. Rather, I saw it as the boost that AW needed to broaden its reach and respectability. Android Wear was never going to succeed with watches by Motorola, LG, Huawei, Sony, and Asus. It needs proven watch brands like Fossil to be taken seriously by casual observers. The Apple Watch works because Apple is seen by many as a fashionable brand, but none of the Android brands are thought of the same way. I'm a 61-year-old married man who couldn't care less about wearing a fashion brand. I bought a Fossil Explorist Gen. 3 last year even though I had barely heard of the Fossil brand. I bought the Explorer 3 on the basis of its specs: its large face, its class-leading resolution, its three buttons, and it's replaceable band. That said, I chose the. FTW4001 variant, the obe with a smoke-gray steel band, because of how it looked. But on the rare occasions when someone asks, "What watch are you wearing?" I reply "It's an Android Wear." I have had a Fossil Q Marshal given to you by my wife, I think it is amazing, how ever is there any where I can get hold of a menu list to save me going to the wrong menu? Plus if the watch is senting me text and email etc does that mean Android Wear is working ?